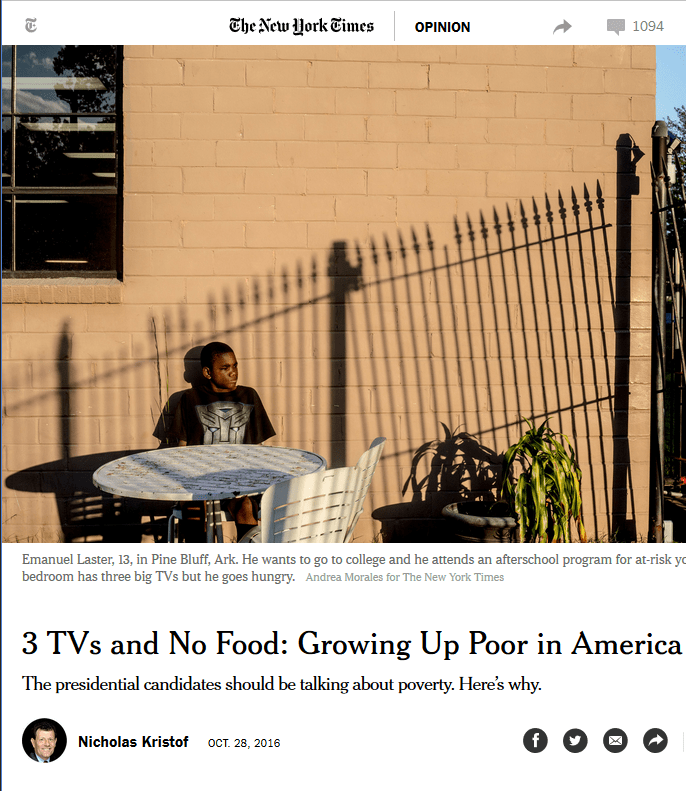 The New York Times‘ Nicholas Kristof (10/28/16) blames the United States’ 21 percent child poverty rate on people who buy too many television sets. New York Times columnist Nicholas Kristof, who was awarded a Pulitzer Prize in 2006 for giving “voice to the voiceless” on international social justice issues, wrote an op-ed in yesterday’s Times (10/30/16) arguing for increased government action on poverty. His calls for heightened attention to economic deprivation, though, were buried in a larger message that was familiar to longtime Kristof-watchers: that the poor aren’t actually poor because they lack enough money, but because of their own moral failings.